The 51-story building features 1, to 4 bedroom residences, penthouses and townhomes, all with panoramic water views. Internationally-acclaimed celebrity interior designer Thom Filicia is the Biscayne Beach design partner. Dubbed as “A-List Designer” by Elle Décor and named one of the “Top 100 Designers” by House Beautiful, Filicia has designed properties for numerous celebrities. 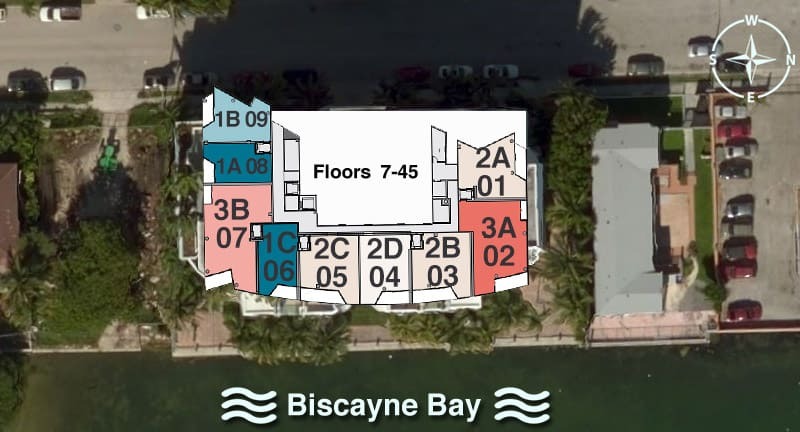 Biscayne Beach’s biggest attraction is the bayfront location. The luxury bayfront high-rise will actually “bring the beach to the city” featuring Miami’s first man-made beach club created on Biscayne Bay, with white sand, swimming platforms and watersports.